One of the sustainable practices we perform in IREMA Slow Fashion is upcycling. It is a longtime we joined this revolution and below we tell you why we love it. Do you join us? “When you take an item no longer needed or wanted and you give it new life in useful or creative way”, that is upcycling. The technique can be applied in some many aspects in life, like fashion, deco, gardening, cooking… There are infinite possibilities, since many things can be reused. The term began to gain traction in the middle 90s, but it was in 2002 with the publication of the book Cradle to Cradle: Remaking the Way We Make Things by William McDonough and Michael Braungart that started to become popular. Pic by Greg Lindengber via Flickr. 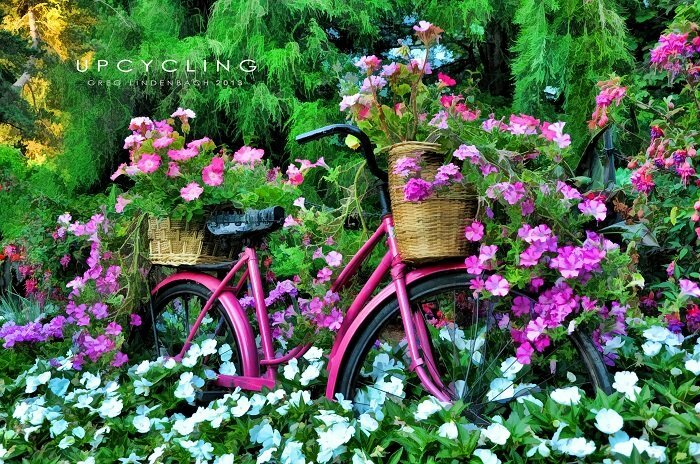 However, upcycling was already practiced long before, though people weren’t aware of doing it, it was a natural thing. For example, in the novel The Bonesetter’s Daughter by Amy Tan, a story that takes place in the pre-revolutionary China, the main characters explain how they kept the ancestral tradition of reusing the clothes in infinite ways. Therefore, they embroidered on holes to hide them or when a garment was very worn-out, they cut it in small pieces that used after to quilt the winter jackets. 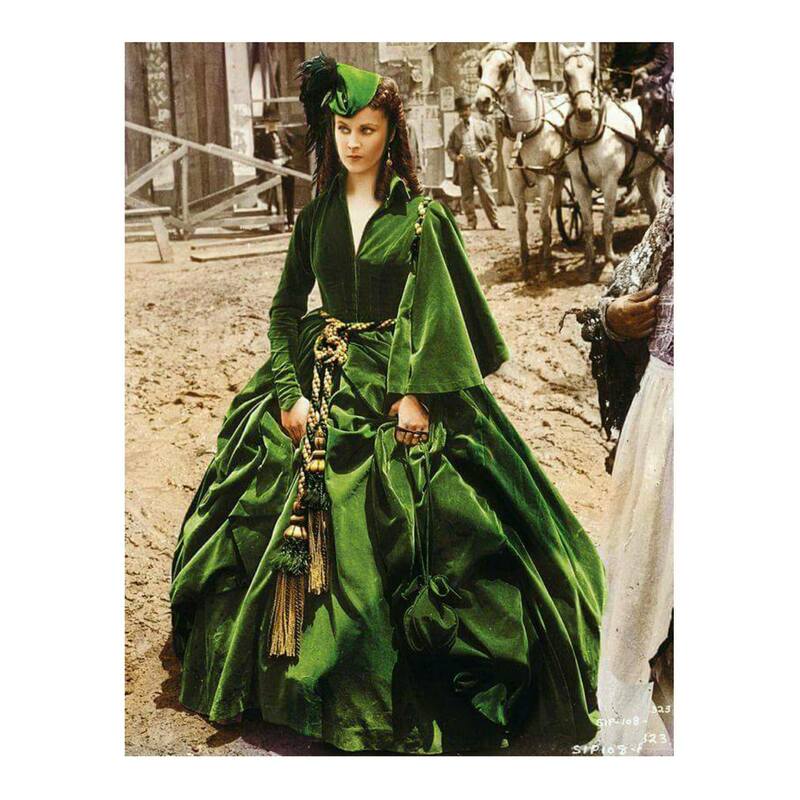 Another example of upcycling is a famous scene in the movie Gone With The Wind, where Scarlett, who has lost almost everything after war, uses a green velvet curtain to make a dress to go to the city. Scarlett O’Hara wearing an upcycled dress. Pic via Pinterest. Anyway, we can also find examples of upcycling in our own family past, when the concept of fast fashion still was non-existent, we just had some clothes that passed from siblings to siblings and we repaired the garments broken or damaged. Few times we through clothes away. Mending was a very common habit, maybe because clothes weren’t as cheap as nowadays or because we live in a culture of austerity, exactly the opposite of nowadays. But does it make sense buying so many clothes only because they are cheaper than before? Pic by Ms Scruffy via Flickr. 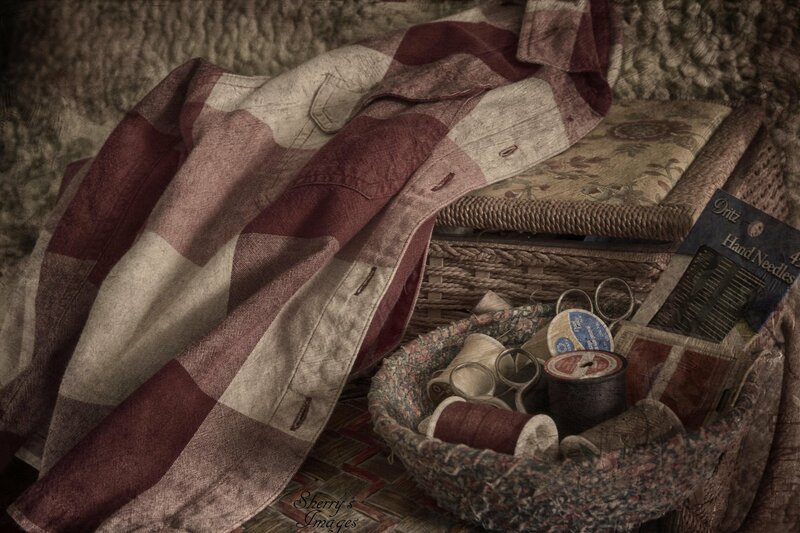 Don’t you remember your mother or grandmother mending a sock or a jacket? Haven’t you worn a pair of jeans with some patches? Dive into your mind and souvenirs and reflect about it… Keeping alive memory help us to think about our quotidian acts. Considering why we have lost the habit of mending, repairing or exchanging, has led us in IREMA Slow Fashion to practice upcycling. First, we started creating bags with upcycled materials from leather scraps, samples, fabrics from mattress, upholstery or quilts. 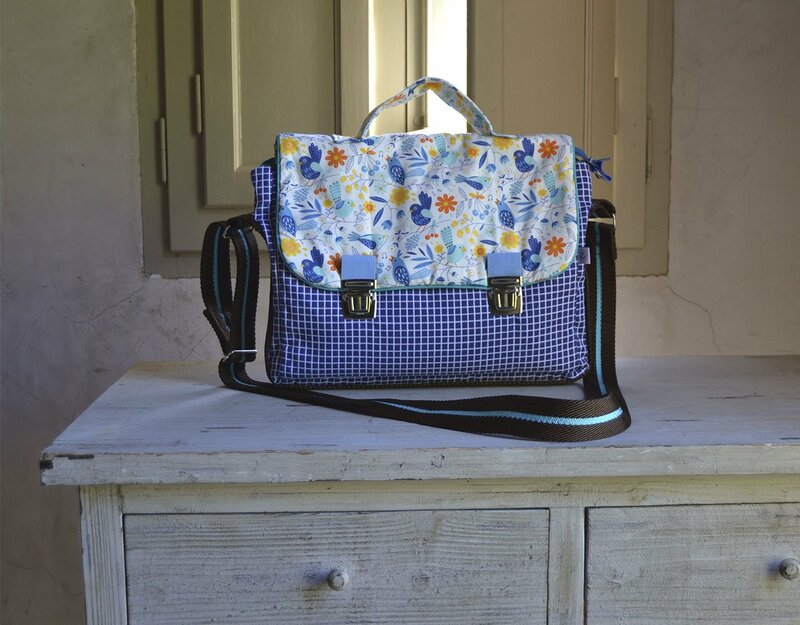 Handmade IREMA’s shoulder bag of upcycled tablecloth and patchwork fabric. All materials are usable, and we can discover and show their hidden beauty. 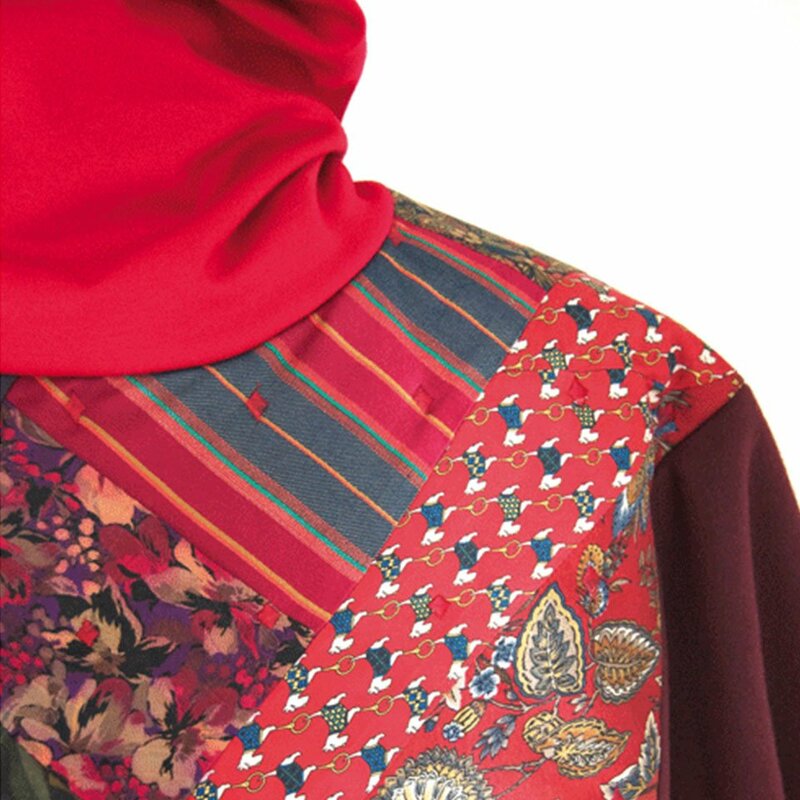 When we get to give a new life to these materials, we feel the long tradition of strong women is coming along with us. Then every stitch is a worthwhile act. Same happens with the garments created with upcycled techniques, such as our ponchos with the front made with quilted upcycled ties. A work we truly love. The front of this IREMA’s poncho is made with quilted upcycled ties. In conclusion, we can say upcycling is not only a must but a passion too for IREMA Slow Fashion. And you, what do you think about this art after reading this post? ?